Our submission is a web app that allows a user to enter the name of their local team, and get information about the latest game presented in a readable and useful form. Instead of just giving raw stats about the game, our app performs analysis on the game's plays, and gives the user a few key talking points about the game. The Sports Data API gives us information about the latest game. 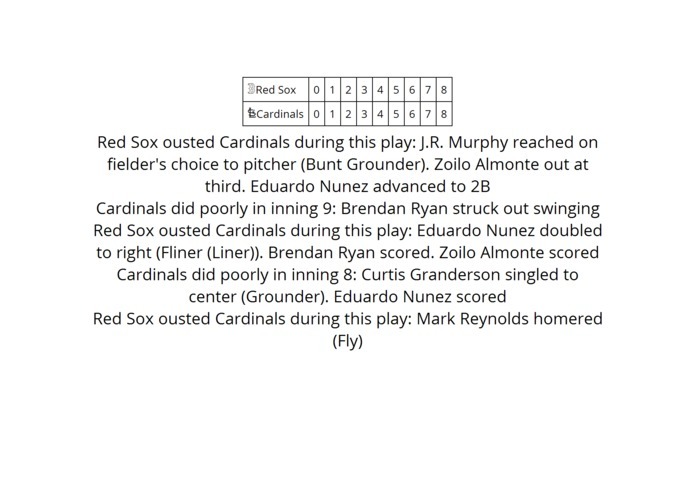 We used Kimono, which let us easily scrape data from the FanGraphs site and find key plays.